We want everyone to benefit from owning an iTOVi, that’s why we offer two purchasing options that make buying a scanner affordable for any financial situation. 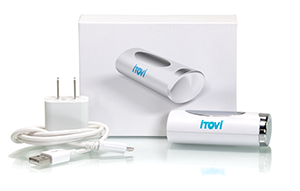 Each option includes the iTOVi scanner, a USB power adapter, a USB charging cable and a quick start guide. Learn more about how iTOVi’s unique referral program works in concert with our pricing options. *To access the iTOVi app and scan information, monthly access must remain active. Standard domestic shipping is a flat fee of $12. iTOVi offers an extended warranty for a one time fee of $19.99. For more details about our warranty, please visit our warranty page.